This route will take you 6 days in a leisurly pace. But it is worth slowing down and see the scenery. It takes you over some of the nicest mountain roads in the Southern Norway, and even let you see some really nice, twisty roads in the south-west. Jon and I did this trip a couple of years back, and did push it a bit as Jon didn’t have any more days off and I had to get to my bike to service. But even then it was a nice ride. Explore it yourself! 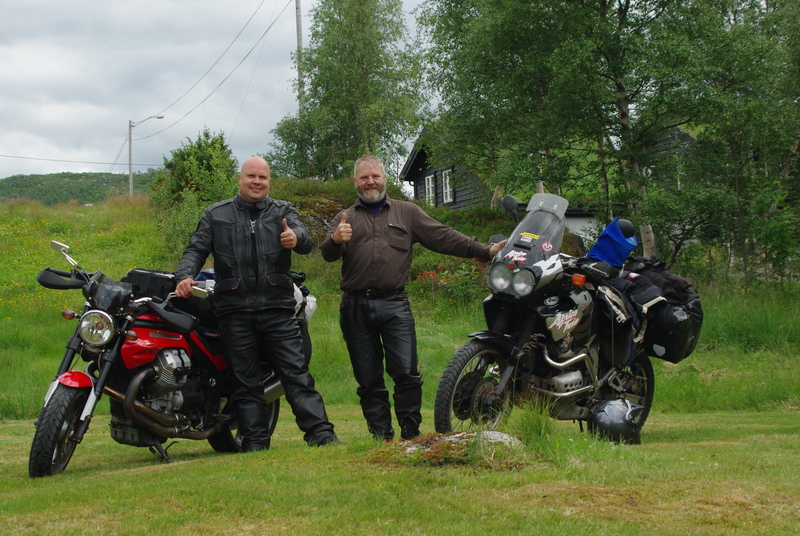 Jon (right) with his XRV 750 Honda Africa Twin, and me with my Moto Guzzi 850 Griso. Day 1: Oslo – Sinnes. 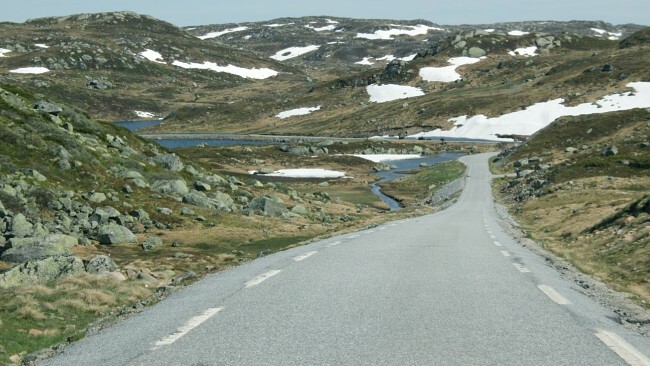 A road that takes you to beautiful Dalen, with its really special hotel (but way too expensive for us), over the Suleskard montain road, which is only open in the summer, and to Sinnes where we pitched our lavvo at Haugen camping. Day 2: Sinnes – Sandnes. A rather short leg, but the North Sea Road 44 is so nice and twisty that it requires to be savoured properly. We pitched our lavvo at a camp site just outside Sandnes, which is near Stavanger. Make sure you stop at the Altmark Incident Memorial in Jøssingfjorden. 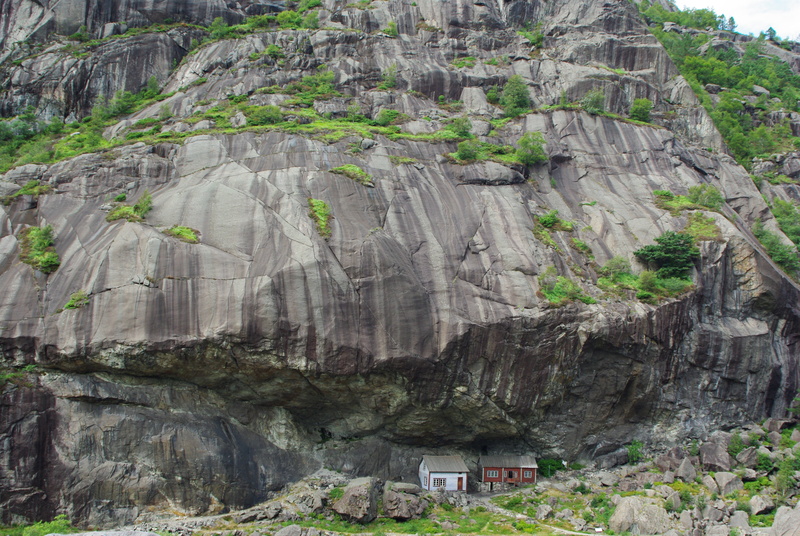 Day 3: Sandnes – Hornindal. This was a bit too stretchy, with more than 12 hours in the saddle and mainly along the main roads. It requires quite a few ferries, so it takes even longer to do the close to 600 kms. It should have been cut in two, but we needed to be in Hornindal for a service appointment for my Guzzi. 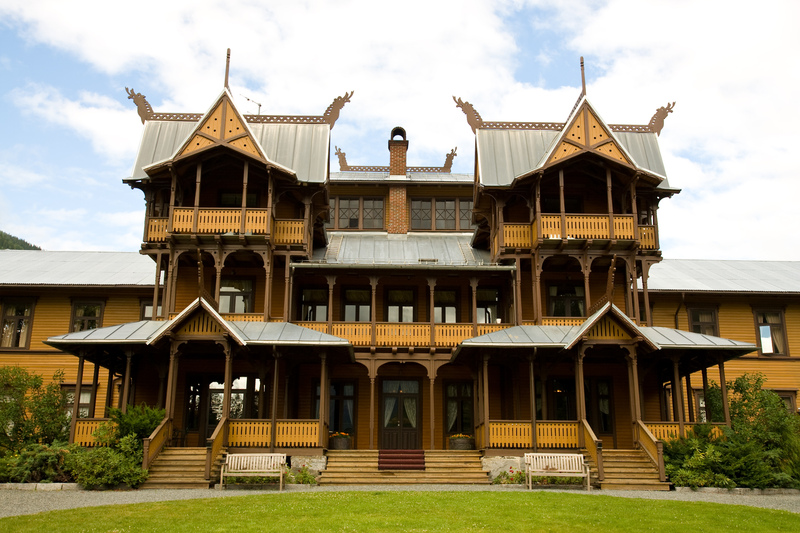 But it’s doable, and Rolf’s camp in Grodås is – if not very stylish, so at least very pleasant. See those houses under the cliff? They haven’t needed roofing since they were new some hundred of years ago. Day 4: Hornindal – Oslo over the Old Strynefjell Mountain Road (google maps will not show it as it is closed for the winter at time of writing, but the road sign is very clear, road 258). A gravel road as some of us really likes it! 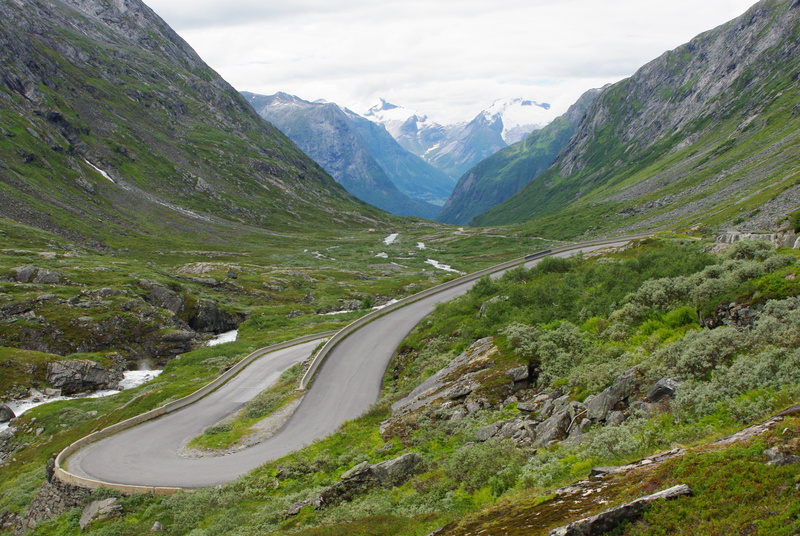 This route also includes the Valdresflye road 51, where it usually is some snow here and there (not on the road, though), at least at the time of year we were there. It’s a long day, this one too, but still doable. I would have preferred to cut it into two days, though. The start of the old Strynefjell Mountain Road. Nice!